As part of setting up a hybrid configuration between Exchange on-premise and Exchange online (or when configuring Exchange Online Archiving), you also need to setup DirSync. As part of the best-practices when installing DirSync, you should always run the Office 365 Deployment Readiness tool which will scan your local Active Directory and search for incompatible objects. The tool will create a report in which incompatible objects are mentioned. This will allow you to modify these object before configuring DirSync. 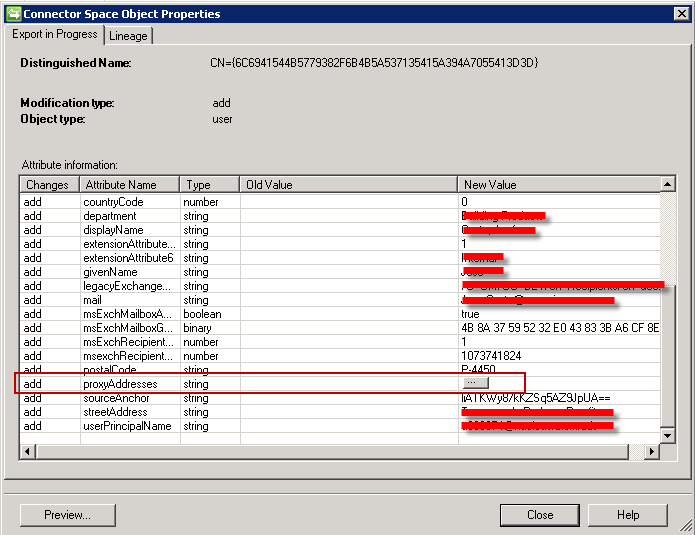 However, sometimes object can still contain incompatible object attributes, which might cause issues for DirSync. In such case, you’ll likely be presented with the following error in the application event log. Please note that this example mentions an issue with the “TargetWebService” Management Agent. 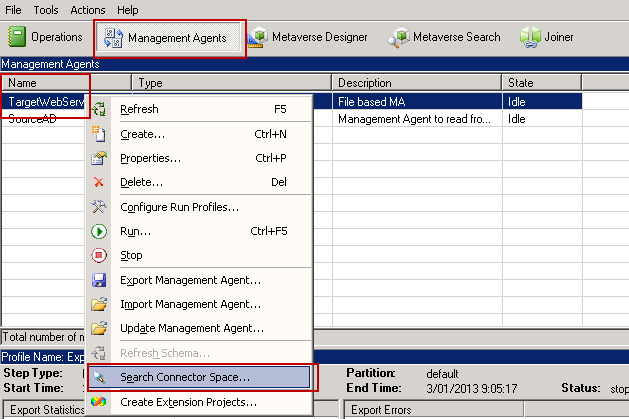 It could very well be that you’ll encounter an issue in the SourceAD Management Agent. The TargetWebService Connector export cycle has stopped. Object with DN CN=<guid> failed validation for the following attributes: proxyAddresses. Please refer to documentation for information on object attribute validation. In this particular case, one of the proxy addresses contained an illegal character which caused the Management Agent to fail. Once you determined what the issue was, correct the value in AD and re-start synchronization. Normally, synchronization should happen successfully now. ← Looking back on 2012, looking forward to 2013.